Gelsenkirchen - New FC Schalke 04 coach Roberto Di Matteo may never have laced his boots in the Bundesliga during his playing days, but he is nonetheless a familiar face to followers of Germany’s top flight. The 44-year-old, a son of Italian parents, was born in the Swiss town of Schaffhausen on 29 May 1970 and went on to play for the local side in the second division, where, incidentally, current Germany coach Joachim Löw was among his team-mates. Stints at FC Zürich, FC Aarau and SS Lazio followed, before the midfielder moved to Chelsea FC in 1996. It was there that he enjoyed the most successful spell in his career, establishing a reputation as a serial winner. He won the FA Cup twice (1997, 2000), and in 1998 lifted the European Cup Winners’ Cup, the UEFA Supercup and the English League Cup. Di Matteo earned 34 caps for Italy between 1994-1998, but was forced to retire from the game in 2002 after breaking his leg in a match against FC St Gallen. He cut his teeth as a coach at lower league English side Milton Keynes Dons in 2008 and would later earn promotion to the Premier League with West Bromwich Albion in 2010. After his appointment as Andre Villas-Boas’ assistant at Chelsea in June 2011, Di Matteo took over the reins of of the London outfit following the Portuguese's departure in early 2012 and went on to lead the club to their first ever UEFA Champions League title, beating FC Bayern München in the final in Munich, as well as lifting the FA Cup. However, following a 3-0 defeat to Juventus on 21 November 2012 in the Champions League group stage he was relieved of his duties and replaced by Rafa Benitez. 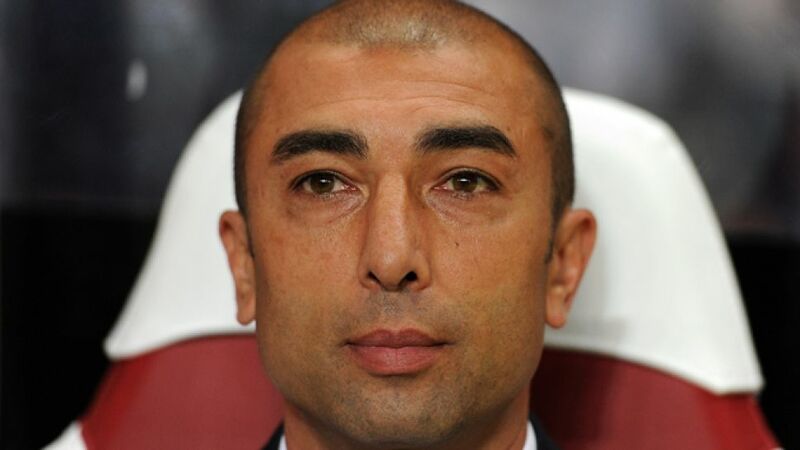 Despite that dismissal, Di Matteo was still voted as Swiss Coach of the Year for 2012. Appointed on a contract valid until 30 June 2017, Di Matteo is the third Italian coach to take charge of a Bundesliga club, following in the footsteps of compatriots Giovanni Trapattoni (FC Bayern München) and Nevio Scala (Borussia Dortmund). He speaks six languages fluently, including German.